This video illustrates how the end of the spear of “The Punch” Lionfish Slayer® does not extend beyond the end of the barrel. The Punch is great for close range shots and also limits the potential risk of damaging the reef. 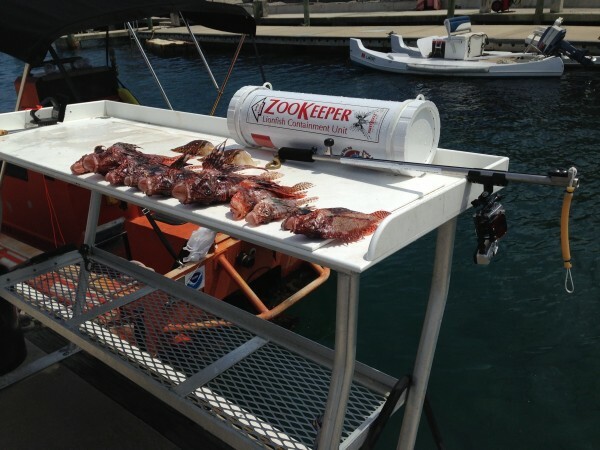 Watch how a quick Lionfish is no match for the Lionfish Slayer Punch, and how easy it is to quickly pocket the catch into the Zookeeper. Demo of the "Punch", a Lionfish Slayer spear pole, in action. Great showcase of how accurate and deadly the Lionfish Slayer "Punch" really can be while hunting. Excellent Shot with the Lionfish Slayer! Watch this great demo on how easy it is to help eradicate this invasive species from our South Florida waters using the Lionfish Slayer's "Punch" spear pole. Watch how easy it is to take out a Lionfish with the Lionfish Slayer's "Punch" model even if they attempt to hole up inside the reef's ledge. 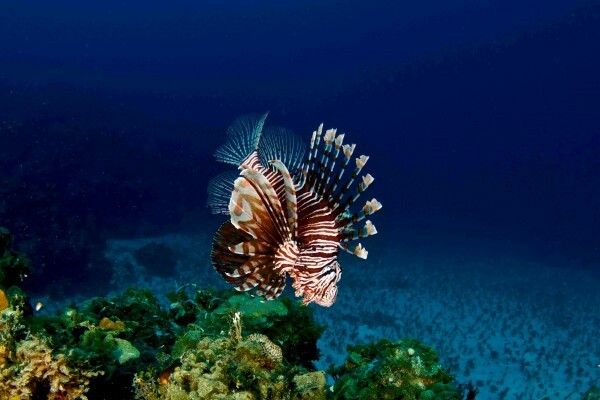 Lionfish can be quick when they are onto you. Watch how this Lionfish tries to elude the Lionfish Slayer "Punch" spear pole....unsuccessfully. A quick demo of the Lionfish Slayer's "The Punch". Eric demos the ease and accuracy of killing Lionfish with the Lionfish Slayer's "The Punch" model can be while on a dive in South Florida. On the way down to a Lionfish nest, ran across a bunch of Triggerfish. They are delicious! Great video from Lionfish Slayer Ricardo V.
The Punch is a “closed end” spear pole designed specifically to hunt Lionfish. The stainless steel tube is configured so that the spear propels from inside the tube and abruptly stops at the end of the barrel preventing the spear from shooting further than the end of the pole. The Javelin is an “open end” spear pole meaning the spear inside the tube is forcefully propelled out and either stops at the end of the line attached to the spear or if no line is present (“free shafting”) then the shaft stops when it runs out of force.